The duo will appear in Müller’s athletics inspired multimedia campaign which aims to inspire the next generation to become involved and have fun with athletics. 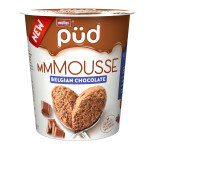 The campaign includes new television adverts, which feature Nicole Scherzinger and Adam Gemili, digital and print advertising and the dairy company’s biggest ever on pack promotion. As part of the campaign, Müller has developed a range of limited editions inspired by their status as Official Supporter of the British Athletics Team. 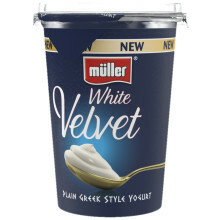 A phased launch will see 12 limited editions become available across Müller Corner, Müllerlight, Müller Rice and FRijj. 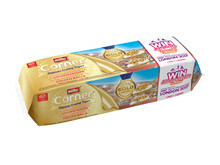 Examples include: Müller Corner Gold Edition and Müller Corner British Classics Edition which will also feature images of the brand ambassadors. 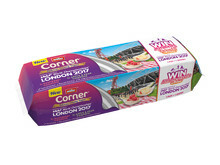 The campaign sees Müller launch its biggest ever on pack promotion, giving consumers the chance to win 1,000 pairs of session tickets for the IPC World Para Athletics Championships London 2017 and the IAAF World Championships London 2017, as well as prizes (T&Cs apply)*. 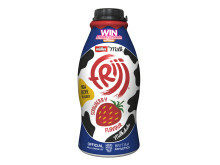 The on pack promotion is also present on Müller’s branded milk, cream and FRijj products as part of its status as Official Milk of British Athletics and Official Milk Drink of British Athletics. Consumers are invited to visit www.mullerathletics2017.com where they can enter the prize draws. 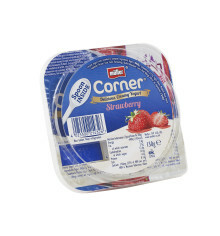 Throughout the year, the new site will also feature a wide range of additional content including athlete interviews, tips from athletes on how to get motivated, information on the health benefits of dairy and exclusive behind the scenes footage of the upcoming Müller television adverts. 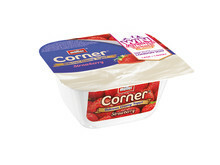 In addition, Müller has launched its reformulated Müller Corner Strawberry recipe, the most popular flavour of the range, which now includes 19% less total sugar. The new recipe does not contain any sweeteners. “The success of our 2016 partnerships with British Athletics and Team GB was phenomenal and this year, with five major athletics event partnerships, we’re going bigger and better than ever before. “We’re so excited for consumers to try our new limited editions and to enjoy our biggest ever on pack promotion. We want to help inspire the next generation to get out there and have fun with athletics and to be working with the stars of British Athletics, from Adam Gemili to Dina Asher-Smith, is a real honour. “We’re building the biggest and best dairy company in the UK and we’re constantly trying to create inspiration in the category, which in turn drives footfall and benefits everyone in the supply chain. With 1,000 pairs of tickets to give away*, it’s a hugely exciting partnership and a big moment for us. * Prize Draw closing date to win a) 500 pairs of session tickets for World Para Athletics Championships 23.06.17; b) 500 pairs of session tickets for IAAF World Championships 12.07.17; & c) 500 backpacks 11.10.17. Online entries only. Email address required. 18+, resident in UK or ROI. Max 2 wins per person per draw. Travel, accommodation & expenses not included. NI residents can enter without purchase. Skill test for ROI residents. See www.mullerathletics2017.com for full T&C’s. The London 2017 Ltd Organising Committee is delivering the IAAF World Championships London 2017 and the World Para Athletics Championships on behalf of UK Athletics, the Greater London Authority and UK Sport, supported by Department for Culture Media and Sport, after both events were awarded to London in 2011 and 2012. The World Para Athletics Championships London 2017 and IAAF World Championships London 2017 are together the biggest sporting event of the year and the biggest event to be staged in the Olympic Stadium since the 2012 Olympic and Paralympic Games. 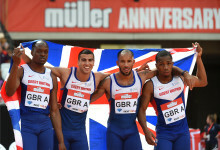 You can find out more at www.paraathleticschampionships.com and www.iaafworldchampionships.com. 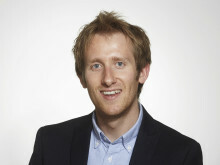 UK Athletics is the national governing body of the leading Olympic and Paralympic sport in Britain. British Athletics is the sport we represent, the people, the athletes, the fans, the team. We work closely with the home countries to develop and grow all areas of the sport including elite performance, coaching, major international events, competition and grassroots programmes within schools and clubs.